The origins of taido are in karate and traditional okinawa-te. 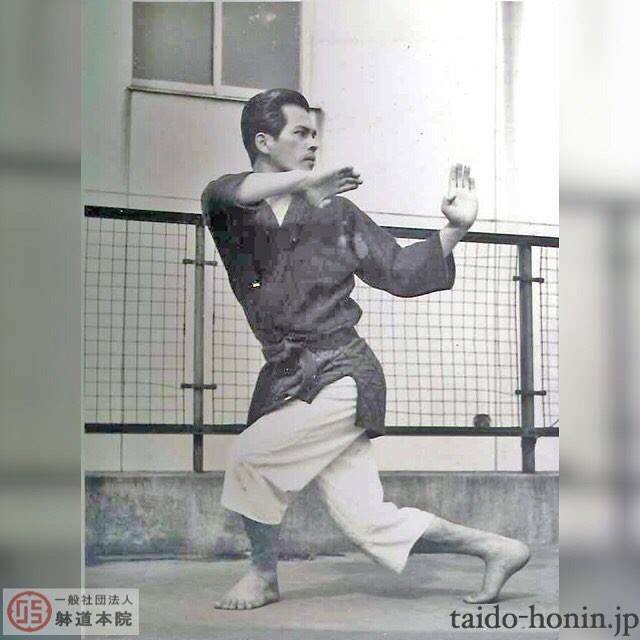 Mr. Seiken Shukumine (1925-2001) was the founder of both gensei-ryu karate-do and taido, that was diverged as an independent martial art in 1965. The aim of taido is to protect life and the holistic development of a taidoka, who is practicing it. Taido develops not only overall fitness and condition, but also coordination, balance and agility. Taido can be practiced by all age groups and both genders, regardless of previous sports activities or a lack of those. Juniors of c. 7-12 years old have their own groups and courses. Taido provides with a challenging but rewarding hobby, and competition possibilities all the way to the World Championships. A simple translation of the Japanese word taido is “the way of body”. Most of the taido techniques are kicks and punches, but use of the whole body and its different axes are in the core of taido. Many techniques include both dodging and counter attack at the same time. The very important movement in taido is called unsoku and unshin, with which taidoka controls movements of the opponent and searches a suitable moment of attack by changes of rhythm, angle and distance. Different three dimensional ways of movement including acrobatic cartwheels and somersaults provide both attach and defense techniques with speed, strength and possibilities to surprise the opponent. Diversity makes taido an interesting martial art. Training taido teaches oneself patience and modesty, but the supportive training atmosphere easily offers also experiences of success and exceeding oneself is certain. Training is doing together in taido; a taidoka learns of being responsible also for others, and respect and politeness towards other taidokas. For example a dantai hokei, a kata-like series of movements, is an unique experience when the five members of the team attack, breath and stop simultaneously. 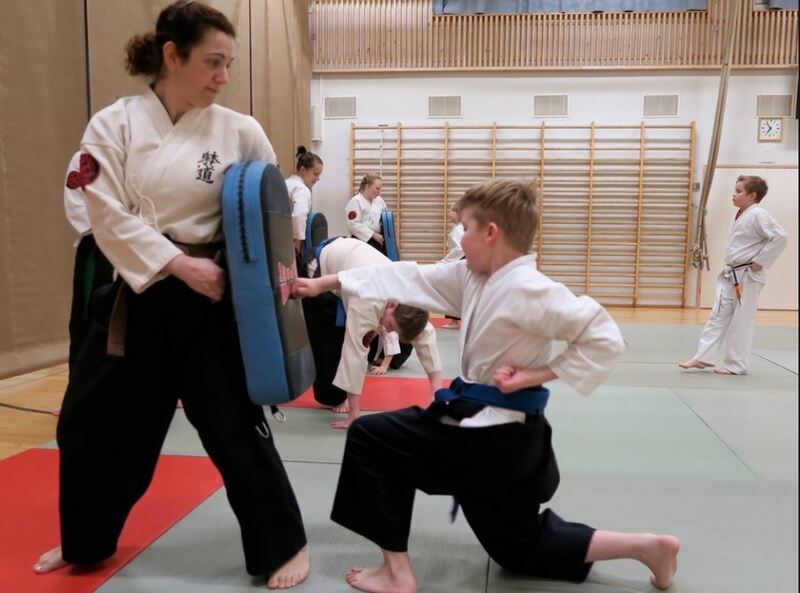 In the camps and trainings organized by the Taido Finland or other local clubs it is easy to meet more taidokas to train with and more teachers to learn from. Every other year the international taido community gathers to European or World Championships. There are active taido associations and clubs in Japan, USA, Australia and several western European countries. 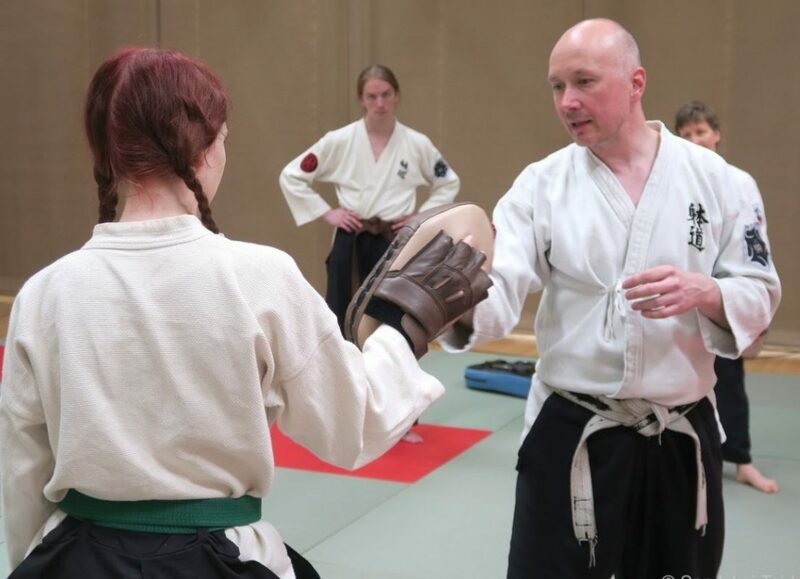 Japanese student Minoru Okanda started to teach taido in Finland in 1972. The first official beginners’ course started in 1974. Women were allowed to participate in 1976 and the first national championships were held the same year. The Finnish Taido Association FTA (Suomen Taidoliitto in Finnish) was founded in 1981 and accepted as a member of the World Taido Federation in 1984. The first Finnish dantai championships for teams were held in 1986. 2011 FTA started amalgamation process by joining to the Finnish Karate Association (FKA) and 1.1.2014 FTA was merged with FKA and now taido forms it’s own collegial body inside FKA. This collegial body is called Taido Finland (Suomen Taido). 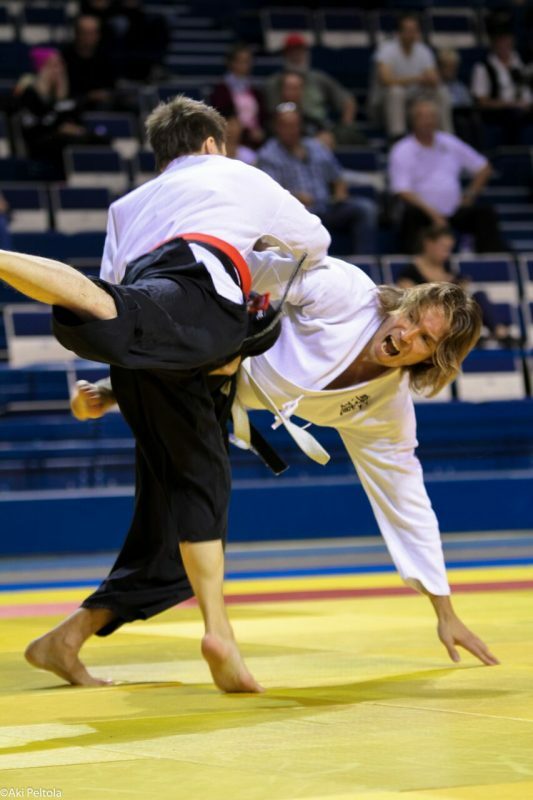 Finnish Karate Association and its taido, karate and ju-jutsu clubs are registered non-profit associations according to the rules of the Finnish Associations Act. Highest decision making power in the FKA is held by the member clubs in two annual meetings. Each member club has one vote in the meeting, that elects the executive committee, or the board of the FKA, decides of membership fees of the member clubs, confirms the action plan and budget of the FKA for the next year and report of activities and financial statement of the previous year, and other issues according to FKA’s rules and the Association Act. working groups, that practically carry out the different tasks like financial management, information and communication, education system for the instructors, youth and junior activities, judging in competitions and coaching of the national team. The office and employee working for FKA is in charge of e.g. daily financial administration, providing with the taido products to member clubs, advising the clubs and individual taidokas and organizing events. The office work is done under supervision and in co-operation with the executive committee. Got interested? Contact us for more information!